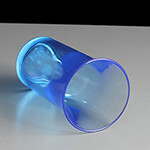 Blue reusable 50ml 'double' plastic shot glasses made from hard polystyrene plastic. They have a CE stamp in the base meaning they are a licensed measure, ideal for busy environments such as pubs, bars, nightclubs and busy events. 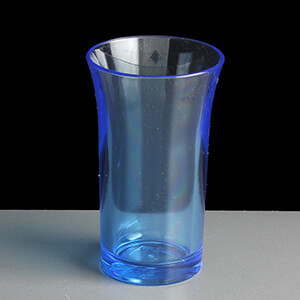 They are manufactured in the UK by BBP from polystyrene and can be dish washed / glass washed up to 100 times before becoming cloudy and more brittle. 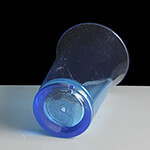 They can be widely recycled once they have reached their end of life. 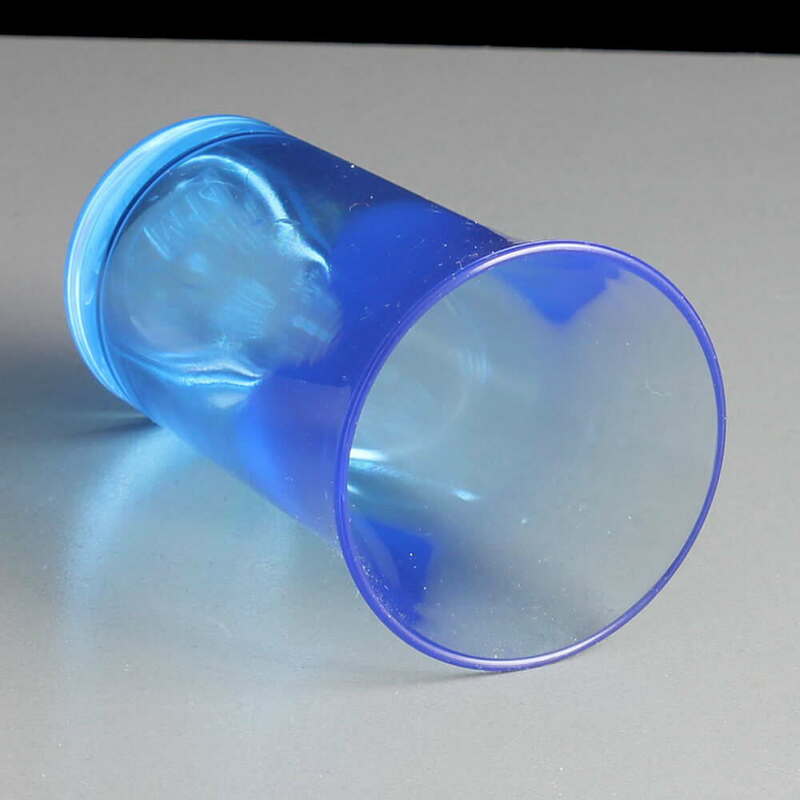 The design of the plastic shot glasses means they are sturdy to hold and drink from and will only break if excessive force is exerted for example by treading on them. 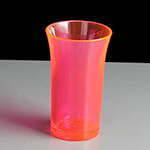 The base of the shot glasses have a number of markings including the manufacturer bbp, 50ml, CE M14 and UK. 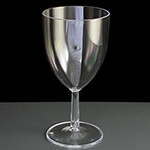 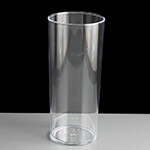 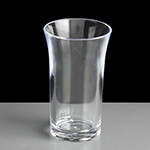 The glass is gently flared out towards the top with a smooth rim for drinking from. 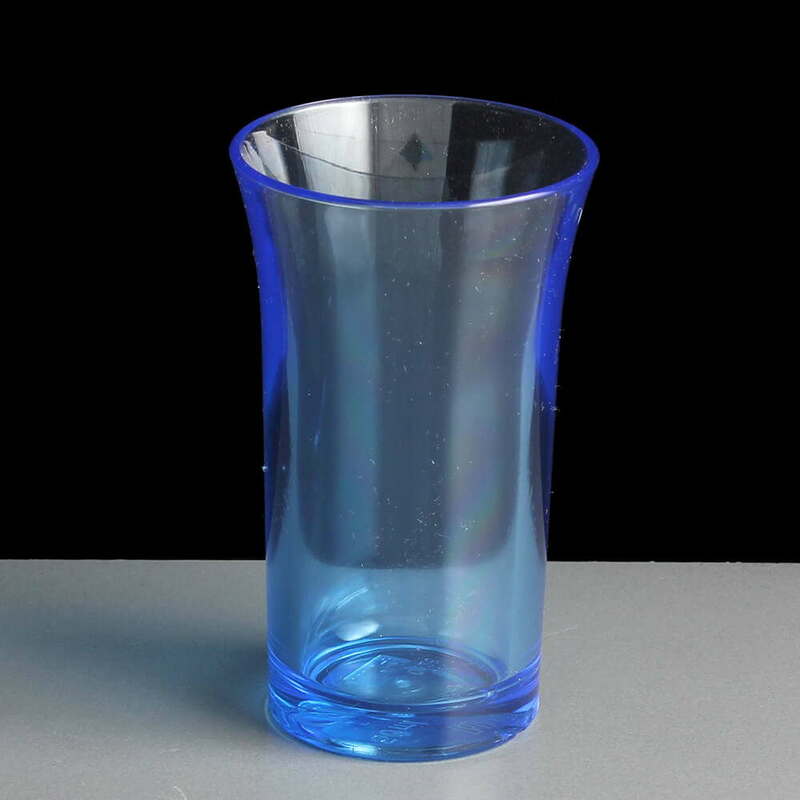 These are sold in packs of 10 or cases of 100 and are also available in a number of other colours including boxes of 50ml mixed colours. 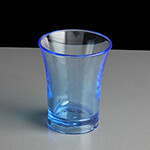 Feedback for 50ml Reusable Neon Blue Shot Glass - CE Stamped - Required: Box of 100 has been compiled from 0 reviews.